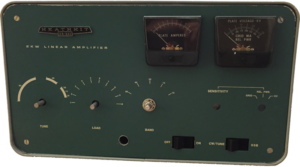 This page exists to document my restoration of a Heathkit SB-220 amplifier. I acquired this amp from the QRZ forums. What little I know about the history is that it came from a silent key and the first pass of restoration was started by a fellow ham in West Virginia.